The U.S. Virgin Islands are St. Croix, St. John and St. Thomas. While St. Thomas is the liveliest of the US Virgin Islands, Caribbean St. John is famous for its untouched beauty with nearly two-thirds of the island kept as a national park. The British Virgin Islands in Caribbean yacht charter are grouped around the Sir Francis Drake Channel which acts as a grand boulevard for caribbean yacht charter. Virgin Gorda, lying east of Tortola, is home to “the Baths” shallow pools among huge boulders that flood with crystal clear seawater creating a unique swimming experience. Jost Van Dyke is the “party central” of the BVI. don’t miss an evening at Foxy’s on your caribbean yacht charter. In the Virgin Islands, anchorages are plentiful and very close – you can be underway maybe an hour or so each morning and afternoon, with maximum time to enjoy the fabulous weather, warm, clear waters, and beautiful views in every direction in caribbean yacht charter . Many sandy beaches for those who want to sit and read or sunbathe with sand between their toes, good anchorages and snorkeling spots. You can enjoy swimming, snorkeling and beach activities (but no waverunners or waterskis) as St. John is 67% National Park, a bequest of the Rockefellers. Head in to Cruz Bay at St. John for shopping at Mongoose Junction serious shopping here with many upscale and charming boutiques. A picture perfect island which just makes you want to stop. No trip to the Virgin Islands is complete without a visit to Foxy’s Bar and Restaurant in Jost Van Dyke for a ‘Pain Killer’, guaranteed to relieve pain, stress, tension and whatever else may be on your mind! And there is Foxy’s boutique, complete with tee-shirts to prove we’ve been there. Be sure to take a stroll down the main street, a path running along the beach, not much going on, but then, that’s the charm. 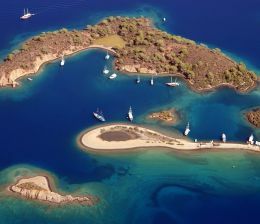 popular yacht charter destination offering a resort and beautiful beaches. Visit the world-famous ‘Baths’, at Virgin Gorda. Natural sea water pools have been created by uplifting of gigantic boulders of Plutonic Granite. Fabulous snorkeling at The Baths and nearby Fallen Jerusalem. Enjoy the spectacular beaches at the ‘Baths’ maybe going on to Virgin Gorda Yacht Harbor & Spanish Town on your charter yacht for lunch and exploring ashore. enjoy a sail up to Virgin Gorda Sound -a great place to spend two or more days. Visit the famous Bitter End Resort, so famous with bareboaters, and Biras Creek, which fronts on both the Caribbean Sea and the North Atlantic Ocean. Good Caribbean beaches with soul-warming sun, crystal-clear watersn and fragrant sea air can be found on virtually every island of the Caribbean, with the possible exceptions of Saba (which has rocky shores) and Dominica (where the few beaches have dramatically black sands that absorb the hot sun. This luscious stretch of silvery sand helped put Anguilla on the world-tourism map. Snorkelers are drawn to the schools of iridescent fish that dart among the coral gardens offshore. You can take the trail walk from Old Ta to little-known Katouche Beach, which provides perfect snorkeling and is also a prime site for a beach picnic under shade trees. Legend has it that there is a beach here for every day of the year. Antiguans claim, with justifiable pride, that their two best are Dickenson Bay, in the northwest corner of the island, and Half Moon Bay, which stretches for a white sandy mile along the eastern coast. Most major hotels open directly onto a good beach, so chances are good yours will be built on or near a strip of sand. This superb white-sand beach put Aruba on the tourist map. Several publications, including Condé Nast Traveler, have hailed it as one of the 12 best beaches in the world. It’s likely to be crowded in winter, but for swimming, sailing, or fishing, it’s idyllic. Some of the finest beaches in the Caribbean lie along the so-called Gold Coast of Barbados (now often called the Platinum Coast), site of some of the swankiest deluxe hotels in the Northern Hemisphere. Our favorites include Paynes Bay, Brandon’s Beach, Paradise Beach, and Brighton Beach all open to the public. One of the Caribbean’s most spectacular stretches, Cane Garden Bay has 2km (1 1/4 miles) of white sand and is a jogger’s favorite. It’s a much better choice than the more crowded Magens Bay beach on neighboring St. Thomas. It’s really about 9km (5 1/2 miles) long, but who’s counting? Lined with condos and plush resorts, this beach is known for its array of watersports and its translucent aquamarine waters. Australian pines dot the background, and the average winter temperature of the water is a perfect 80°F (27°C). There are two great options here, the beaches of resort-riddled Punta Cana at the easternmost tip of the island, or those at Playa Dorada along the northern coast, which fronts the Atlantic. Punta Cana is a 30km (19-mile) strip of oyster-white sand set against a backdrop of palm trees, and Playa Dorada is filled with beaches of white or beige sands. This 3km (1 3/4-mile) beach is reason enough to go to Grenada. Although the island has some 45 beaches, most with white sand, this is the fabled one, and rightly so. There’s enough space and so few visitors that you’ll probably find a spot just for yourself. The sugary sands of Grand Anse extend into deep waters far offshore. Most of the island’s best hotels are within walking distance. In the northwestern section of the island, this beach stretches for 11km (6 3/4 miles) along the sea and is backed by some of the most hedonistic resorts in the Caribbean. Not for the conservative, the beach also contains some nudist sections, along with bare-all Booby Cay offshore. This bright-white beach stretches for about 10km (6 1/4 miles), much of it developed. It faces a rocky offshore island, Diamond Rock, which has uninhabited shores. Luquillo, 48km (30 miles) east of San Juan, is a vast sandy beach opening onto a crescent-shaped bay edged by a coconut grove. Coral reefs protect the crystal-clear lagoon from the often rough Atlantic waters that can buffet the northern coast. Much photographed because of its white sands, Luquillo has a snack bar, picnic areas with changing rooms, lockers, and showers. A somewhat narrow golden-sand beach, St-Jean is the gem of the island, reminiscent of the French Riviera (though you’re supposed to keep your top on). Reefs protect the beach, making it ideal for swimming. Take your pick. This island, divided about equally between France and the Netherlands, has 39 white sandy beaches. 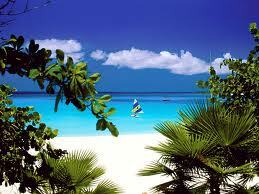 Our favorites include Dawn Beach, Mullet Bay Beach, Maho Bay Beach, and Great Bay Beach on the Dutch side. Orient Beach is another standout not because of its sands, but because of the nudists. Most of the other beaches recommended in this section may be crowded in winter. But if you’re looking for an idyllic, secluded stretch of perfect white sand, head for the remote and tiny island of Canouan, one of the pearls of The Grenadines, a string of islands lying south of its parent, St. Vincent. You’ll have the beaches and the crystal-clear waters to yourself, even in winter. Tobago: For your Robinson Crusoe holiday in the southern Caribbean, head to the little island of Tobago. Even Trinidadians fly here on weekends to enjoy the beach life. It doesn’t get any better than Pigeon Point, a long coral beach on the northwestern coast. Other good beaches on Tobago include Back Bay (site of an old coconut plantation) and Man-O-War Bay, with a beautiful natural harbor and long stretch of sand. These 20km (12 miles) of pale sands are the pride of Provo; the beach has been named the “World’s Leading Beach” at the World Travel Awards for 4 years running. It’s such a spectacular setting that increasing numbers of resorts have sprung up along the shore. A couple of miles out from the northern shore, the beach is fringed by a reef with fabulous snorkeling. Protected by the U.S. National Park Service, this beach is one of the Caribbean’s most popular. A favorite with cruise-ship passengers, it’s known for its underwater snorkeling trail, where markers guide you along the reef just off the white sands; you’re sure to see a gorgeous rainbow of tropical fish. Visit St. Martin/St. Maarten on your charter yacht to experience both French and Dutch cultures all on the same island. Between them they are “the” home of water sports–if you want it you’ll find it here. St. Bart’s is a must stop for many yacht charters and “the” place to be for the “rich and famous.” Want to experience a true part of France in paradise? Then include Guadeloupe, Isle des Saints or Martinique in your yacht charter plans for the Caribbean. Nothing is quite as perfect as fine French dining and wine mixed with the beauty of the Caribbean aboard your charter yacht. Cruise to the north side of Anguilla for a ‘South Sea Island’ scene of lovely uninhabited cays with beautiful palms, sparkling white sand beaches, and fabulous snorkeling, a great place for watersports and ‘getting away from it all.’ Visit Cap Juluca Resort, the ‘in’ place to be on Anguilla. St. Bart’s is home to the “rich and famous”. A short cruise away from St Maarten, this chic French island is best explored by mini-moke. Your captain can back down to the town quay at picturesque Gustavia, the capital of St. Barth, were mini-moke rentals are readily available. St. Barth’s is known for its gorgeous beaches, charming French boutiques, excellent restaurants, and lively bars. Don’t miss Saline Beach and Anse du Flamands. Visit the French village at Corossol, where Breton women offer lovely hand -woven straw souvenirs for sale, often from the porches of their homes. Your captain may anchor at Anse du Columbier for a day of watersports and perhaps a beach picnic. This island offers anchorage off the Frigate Bay Resort, with an 18-hole golf course. Rent a car and drive the perimeter, the island’s only road. 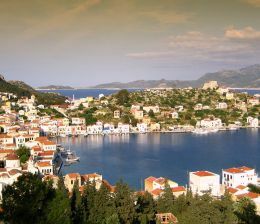 The island’s interior is dominated by majestic peaks offering exciting hiking for the fit and adventurous . Stop at Fort Brimstone for spectacular views from SABA to NEVIS. The Golden Lemon, Arthur Leaman’s elegant small resort on the northeast tip of ST. KITTS has an excellent restaurant for lunch or dinner. The Golden Lemon has been designated one of the 300 best small hotels in the world. There are plantations and a sugar factory to visit, and boutiques offering island fashions in hand-screened Caribbean prints. Unique in rising straight up out of the sea – no beaches, no hordes of tourists, only the adventurous visit SABA. Hike to the top of Mt. Scenery, at 3084 feet the highest in a chain of volcanic peaks stretching in a graceful arc down to Venezuela. You truly have not seen ‘laid-back’ until you have visited SABA, with 1200 residents of Dutch, Scottish, English and African origin. Flat land is in short supply. Picturesque white frame houses (always with green trim) are perched precariously on the cliffs. SABA offers drop-dead gorgeous views ashore, and world class SCUBA in the surrounding sea. The airport is -well, charter a yacht and visit SABA to see for yourself. British base under Lord Nelson, filled with great beaches. A yacht charter paradise, English Harbor is filled with sailing charter yachts and the Antigua Yacht Club typically hosts the larger mega charter yachts. Antigua is the largest of the British Leeward Islands. Mountainous islands basking in the blue waters of the Caribbean sea with idyllic beaches and rain forests. Luxury charter yachts ply from island to island in the Grenadines, pampering their yacht charter guests while they sail between quiet villages on unspoiled islands to countless secluded beaches. Just south of St. Vincent, charter yachts can visit enchanting Bequia, the largest island of the Grenadines. A must stop within easy cruising distance for sailing yacht or motor yacht charters is the spectacular anchorage area in the Tobago Cays. Winds are higher and more constant in the Windward Islands than in other areas of the Caribbean, making this area more favored for sailing yacht charters than motor yacht charters. Accessible only by boat, native craftsmen handcraft colorful small working boats as well as much smaller ships’ models. Shoppers can go ashore to the many interesting shops in the quaint town of Admiralty Bay. 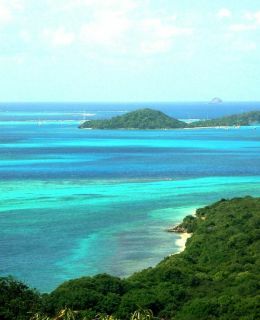 For a spectacular view of the Grenadines, take a ride up to The Old Fort Hotel and Restaurant for tea or a cocktail. Spectacular cluster of uninhabited cays with excellent diving. Many secure anchorages lie within its colorful reefs with nothing but ocean between you and Africa! Spend the day playing around the reefs and beaches. Great snorkeling, diving, windsurfing, and kayaking abound here. You will be truly amazed at the clear, beautifully colored water in every hue from turquoise to a deep royal blue.